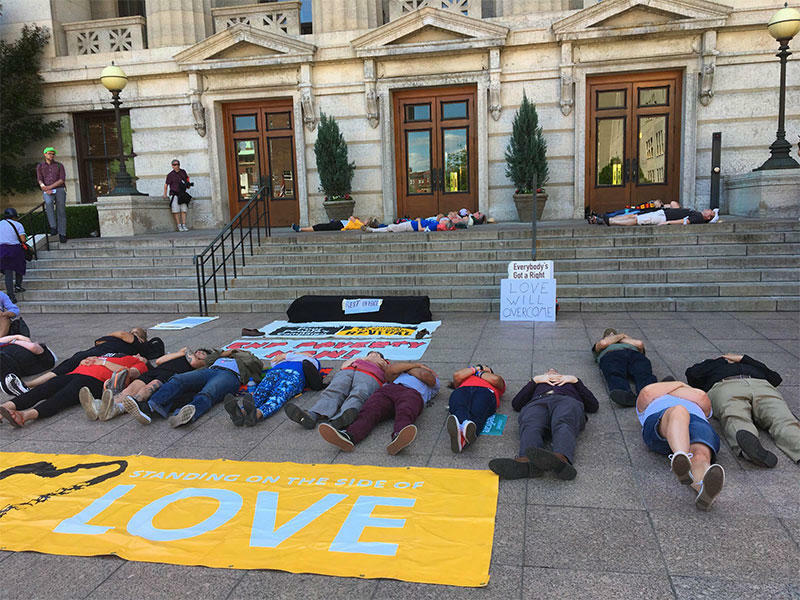 The campaign is based around Dr. Martin Luther King Jr.
Clergy members and advocates for the poor from around the state converged at the Statehouse Monday for what’s being called a “die in." This event was the third weekly protest for these activists, and the most dramatic so far. As some drummed or carried signs, others laid down on the pavement in front of the building, some even blocking doors. Advocates are demonstrating against environmental, health and tax policies they say are killing poor people. It’s part of a 40-day long campaign, based on civil disobedience modeled after Dr. Martin Luther King’s campaign 50 years ago. 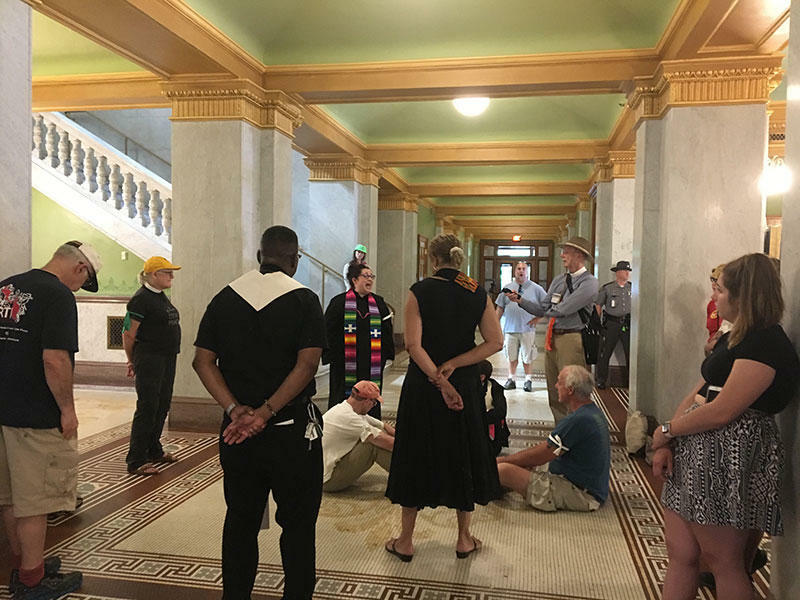 Advocates for low-income Ohioans continue what they are calling the “Poor People’s Protest.” And this latest one at the Statehouse culminated with some activists being removed from the premises without a struggle. 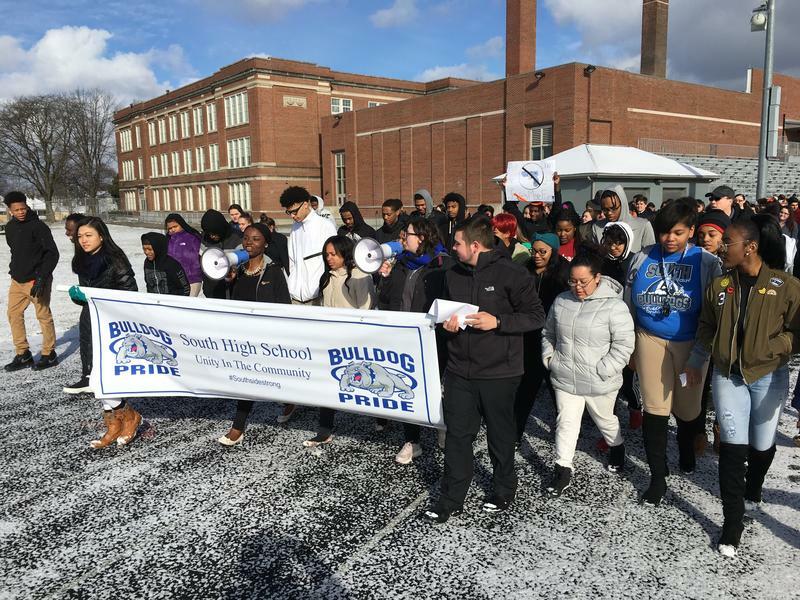 Just 10 days after staging school walkouts across the nation, students are preparing another protest. On Saturday's March For Our Lives, they're again demanding Congressional action to address gun violence - this time, with a march on the Ohio Statehouse. About 200 of the Ohio students who walked out of their high schools this morning made their way to the Statehouse. 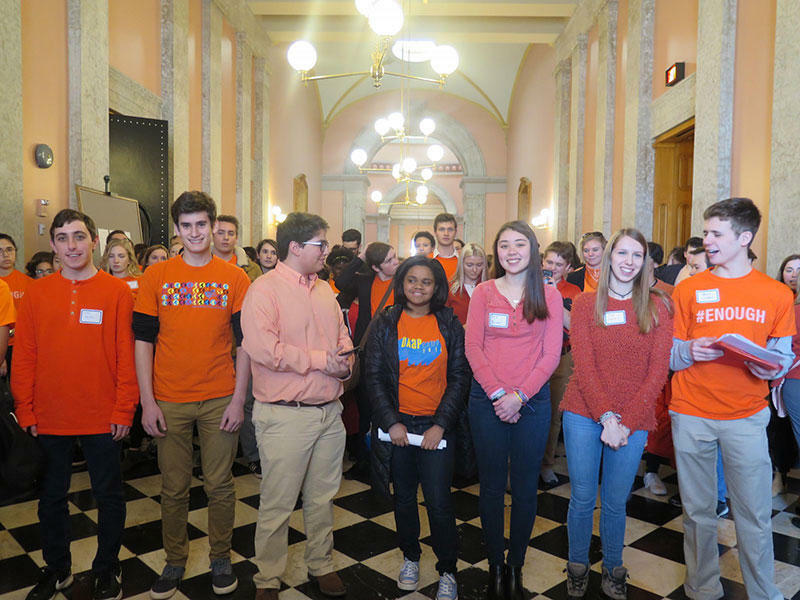 They are activists turned student lobbyists who urged lawmakers to pass or reject some gun bills under consideration.